If you use the Transition Network website (the “Website”) you agree to be bound by these terms and conditions. Right to be forgotten: You may terminate your Transition Network account at any time, in which case we will permanently delete your account and all data associated with it. Right to object: Occasionally we may choose to carry out data research on all or segments of our data to support and develop the Transition Movement. You may opt out of inclusion of your data in our research projects simply by changing the Privacy Setting on your account, or by informing us in writing. Please note that we will never sell or give your data to other organisations and if we share research with appropriate like-minded organisations, it will always be without personal details. Right to rectification: You may access and update your Transition Network account settings at any time to correct or complete your account information. You may also contact Transition Network at any time to access, correct, amend or delete information that we hold about you. Right of portability: We will export your account data to a third party at any time upon your request. We may contact you to confirm that is if it appears that your email has been compromised to make sure we don’t share your data without consent. Google Analytics is a piece of software that collects data about our visitors (you). It’s something like an advanced server log. The tracking information allows us to better understand the kind of people who come to the site and what content they’re reading. This allows us to make better decisions about design and writing. You could also use Privacy badger from the Electronic Frontier Foundation which blocks spying ads and invisible trackers across all websites. 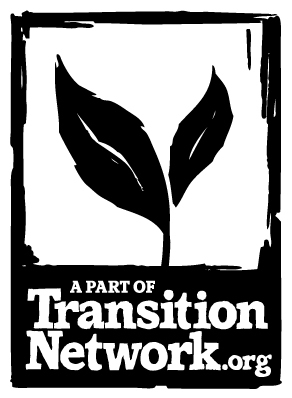 The TransitionNetwork.org domain name is owned by Transition Network. Other product and company names mentioned on this website may be the domains, trademarks or registered trademarks of their respective owners. You shall retain ownership of all copyright in data you submit to the Website under the creative commons licence ‘attribution share alike 2.0’. You grant the community a world-wide, royalty-free, non-terminable licence to use, copy, distribute, such data in any manner with the mention of the author. We’ve put resources into creating a graphical identity that will keep Transition Network noticeable, distinctive and visually connected to transition groups around the world. The sections below tell you all you need to know, and probably a bit more. Warning: This page couldn’t exist without brand-speak and corp-talk rearing their ugly heads. Please excuse their intrusion, we’ll try to keep it to a minimum. Do you want to show that you’re part of this wonderful network of transitioners? If you’re a community-wide initiative, taking account of peak oil and climate change and you’re striving for resilience and CO2 reductions in an inclusive manner, it doesn’t matter to us whether you’re following the transition model slavishly or irreverently, or indeed reinventing it (and sharing your great ideas). In all cases, we invite you to use this “endorsement” marque freely. Download the graphics for use on your flyers, website, posters, currency notes or whatever seems appropriate. More info on the usage is further down the page and in the Endorsement Marque Guidelines. The branding elements for each of these are discussed below. Transition Network’s branding guidelines are contained in this document. This document is aimed at all parts of the Transition Network “organisation”, covering formal documents, powerpoint presentations, headed paper, bids, reports, proposals, website, flyers, “business cards”, et al. We’re starting the process of harmonising to this branding – it’ll be a gradual, rather than short and sharp, process owing to resourcing constraints. – once they’ve reached stage 2, can adopt the Transition Network branding. The graphic alongside shows how that might look for the logo (fyi, Italy aren’t quite there yet, but have the logo all ready and waiting). – in general, we recommend they adopt/adapt the main branding guidelines in the branding document. But if they develop their own look and feel that suits their national demeanour, we’ll be very happy to see that diversity emerging – see Transition US logo to the right. For this group, we have something called an “endorsement marque”. Everything you need to know about it, and more, is contained in this crisply written set of guidelines. It’s aimed at the following Transition Initiatives and community groups. So if you’re a community-wide initiative, taking account of peak oil and climate change and you’re striving for resilience and CO2 reductions in an inclusive manner, it doesn’t matter to us whether you’re following the transition model slavishly or irreverently, or indeed reinventing it (and sharing your great ideas). In all cases, we invite you to use the marque freely. Stick it on your posters, on your flyers, embroider it on bath towels, stencil it onto your compost bin. The limits are set only by your imagination (and common decency). And don’t wait to get “official” status either – use wantonly right from the get-go. For this group, the endorsement marque applies. As you’d expect, you’ll need to talk to us first before you can use the marque. – if you’ve given us loads of money, or a venue for a conference, or perhaps a suitcase full of hemp-based, open source, locally manufactured, eco-powered wonder gadgets and you espouse transition values, you’re eligible to use the marque if you so wish. – please ask us first. – We’re often asked by campaigning organisations for support. We’re exceedingly picky about this, owing to our feelings that, while “campaigns against” certain negative things are essential, we’re focusing more on “working towards” positive outcomes. That said, given the times we’re facing, we feel that some campaigns need all the help they can get. – We’ll seriously consider all serious requests – ask us here. – There are some organisations with whom we collaborate extensively, and they feel very much part of the spirit of transition. If you think this applies to your organisation and you haven’t heard from us yet, please contact us. If a national supermarket chain did that – well, realistically, who out there imagines that happening? We’ll cross that bridge when when/if we come to it. If Tar Sands Inc. were to contact us to request permission to put the Transition Network endorsement marque on their 180-tonne dump trucks, then we’d have to start up a new category entitled “Transition greenwashers”. We don’t have a logo for them, but it would be fun designing one. .ico file for that cute little mini icon () you see in the address bar of your browser – simply download from here, rename as “favicon.ico” and then upload it to the root directory on your webserver (may need to tweak some html as well). Everything you need to know is in the branding guidelines document. Graphics for downloading – for these, please contact support@nulltransitionnetwork.org via email, with details of your intended use.